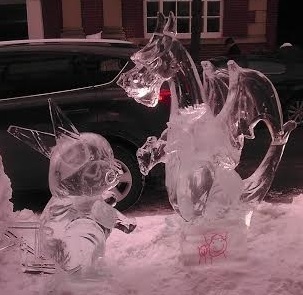 Salem has been invaded by ice creatures, but worry not, as they are friendly. 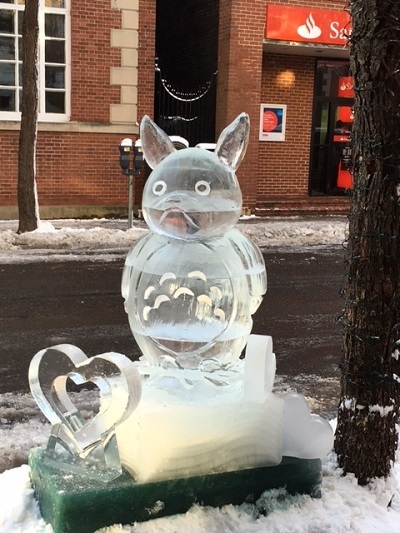 Early morning joggers and breakfast attendees were greeted throughout downtown Salem by workers gently unloading and placing ice sculptures in per-determined sites as part of the Salem‘s So Sweet Chocolate & Ice Sculpture Festival. 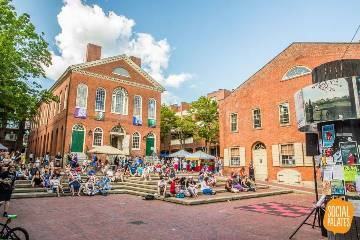 This year there will be more than 15 large sculptures around downtown Salem, with themes including a mermaid, ruby slippers, a rocking horse, and many more! 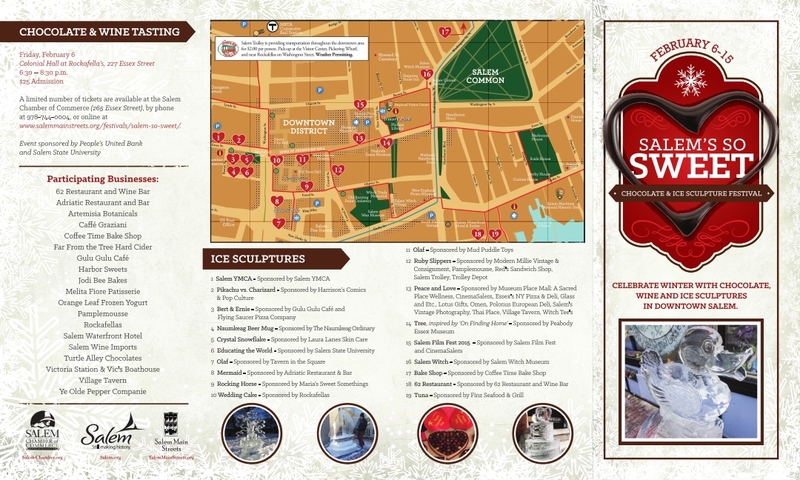 A map of sculptures and locations is available here and on brochures distributed around town. Take the kids out and see how many you can find. 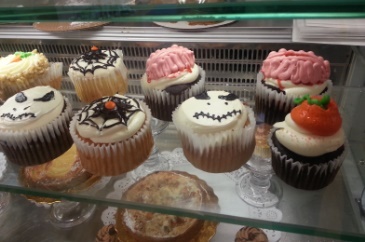 Make a day of it in Salem. 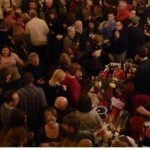 Many downtown businesses will offer discounts and special offerings throughout the festival! Pick up your Golden Ticket at any of the participating businesses during the festival, have it validated at participating businesses (no purchase necessary), then enter to win a Salem’s So Sweet gift basket. 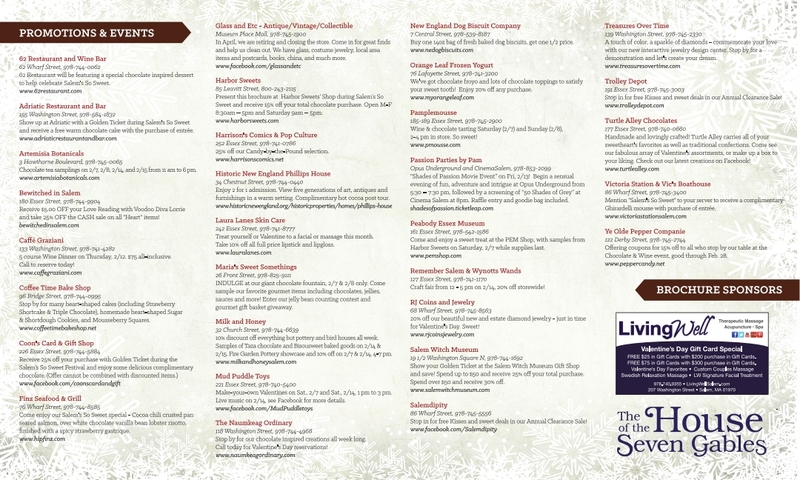 A full list of participating businesses and promotions can be found here. NOTE: due to the historical amounts of snow we have received, the Salem Trolley will not be running its route on Feb. 7 and 8 as initially planned. After all the ice on the sidewalks and streets we’ve had to endure and groan about recently, it’s nice to see ice in a way to make you smile. 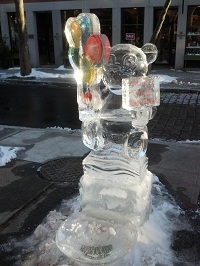 The Salem’s So Sweet Chocolate & Ice Sculpture Festival runs Feb. 6-15th. 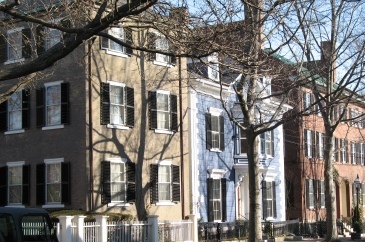 Sweet deal coming up in Salem Ma! 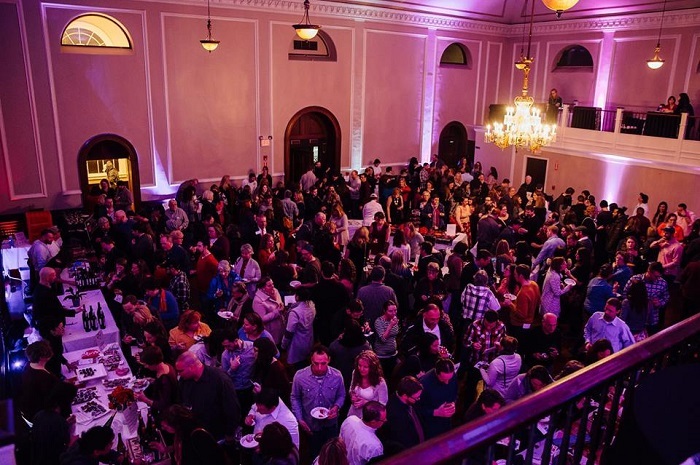 We don’t have to sugar coat this event. 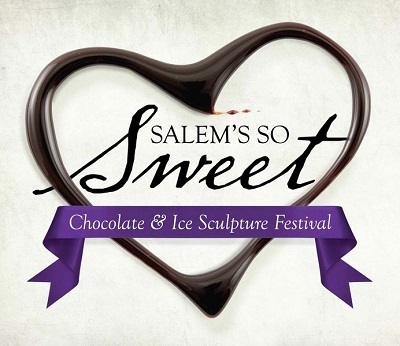 The next project that Salem Main Streets presents to the community is the Annual Salem So Sweet Chocolate & Ice Sculpture Festival. 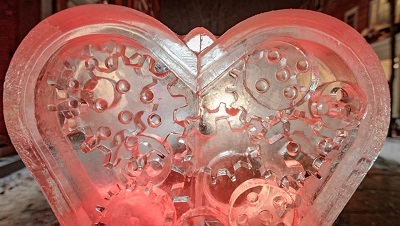 This decadent tradition of delectable chocolate, sparkling ice sculptures, chocolate sampling and Valentine’s Day shopping draws crowds from near and far. 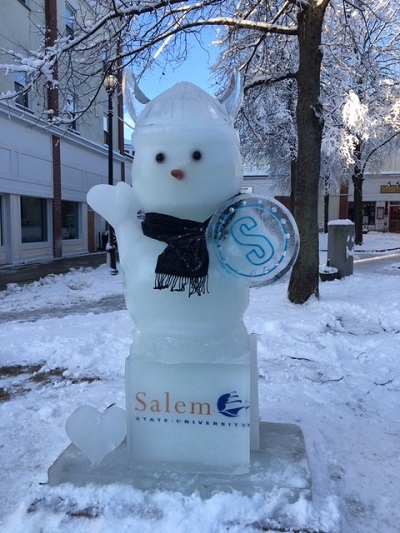 So much so that we want to invite local businesses to take advantage of opportunities to participate in the Salem So Sweet Chocolate & Ice Sculpture Festival; offer a promotion, sponsor an ice sculpture, or showcase food/wine at the kick-off event. It may be cold outside but chocolate warms the heart and invites customers into stores as we head into the month of February. The application for participation is due Friday, Jan. 10. 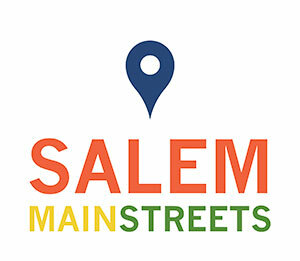 For more information or to participate, contact Kylie Sullivan at kylie@salemmainstreets.org or 978.744.0004 x15. 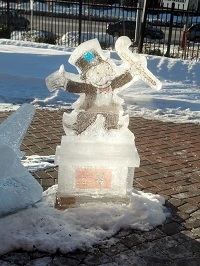 In the wee hours of the morning this past Saturday, workers quietly and professionally delivered and “installed” the Ice Sculptures that have become so much a part of Salem’s So Sweet. Hope you enjoyed them!